You likely have heard the name Cordoba Guitars being synonymous with high-quality nylon strung acoustic guitars. We’d love to share a bit more detail about the company and which models and instruments to consider when you are ready to purchase your next guitar or ukulele. Based in Santa Monica, California, Cordoba Guitars was founded by Tim Miklaucic with the vision of bringing the nylon string guitar to as many people as possible. One of the ways they achieve this mission is by offering expressive and beautiful hand made instruments at affordable prices for students and professionals alike. With models designed by such master builders as Kenny Hill, Edmond Blöchinger, and Pepe Romero Jr., Cordoba instruments are made with a high level of detail and quality of tone. Cordoba Guitars also offers instruments for players not studying traditional classical guitar such as their Thinbody, Crossover, and Flamenco models, as well as instruments with pickups and a full range of high-quality ukuleles. Some popular Cordoba classical guitar models are the Cordoba C5 and Cordoba C7. These two models excel with fantastic tone, traditional Spanish aesthetic, and a great price. With solid tops for quality tone and laminate back and sides for durability and value, the C5 and C7 are great instruments to consider whether you are entering the world of classical guitars for the first time or are looking for an upgrade to your current student level instrument. Other popular models include the California-made Master Series. These are modern reproductions of famous instruments throughout history, featuring instruments by Antonio de Torres, Miguel Rodriguez, and Hermann Hauser. These models are made individually by Cordoba’s luthiers in Oxnard, California. They feature the best quality tonewoods to achieve a sound quality that is authentic to their predecessor. The Guitar Shop of Johnson String Instrument proudly works closely with the builders of the Master Series to create one of a kind instruments built to our exacting design specifications. The Guitar Shop of Johnson String Instrument offers the full line of Cordoba classical guitars and ukuleles. Please contact us with any questions or if you would like to learn more about how we can work with their luthiers to build you your dream guitar. People say it all the time, but you really are never too old to start learning an instrument! Like any skill, learning to play an instrument as an adult is a process and not an immediate pay-off. However, if we do say so ourselves, it’s one well worth the time and the process. Whether you played as a child and want to start up again or are starting from scratch, we have some practical advice to help set adult beginners up for success. No matter which one you choose to learn, starting with the right instrument is key. Regardless of whether you decide to rent or buy, you want to make sure that you’re getting an instrument that’s in good condition. Work within your budget, but don’t fall prey to getting the cheapest instrument you can find. Cheap instruments are usually made incorrectly with poor quality materials. These instruments are difficult to play, which will hinder your progress and enjoyment. Playing an instrument should be fun! We can help with instrument rentals and purchasing an outfit. There are ways to teach yourself, but we highly recommend finding a teacher. Learning an instrument is a specialized skill, and doing so alone can be frustrating. Using a teacher can help speed up your progress and reinforce good habits. They can be your cheerleader, mentor, and someone to hold you accountable. They are also a great resource for general questions and playing opportunities. It’s easy for adult beginners to fall into the mental trap of embarrassment or self-doubt. Remember: you ARE a beginner, and that’s great! Everyone starts somewhere. Make sure you practice daily – yes, daily – to build up muscle memory and reinforce the skills you are learning. Also keep in mind that simple skills or pieces are not bad. You don’t learn to drive by being put on a highway your first day, and you don’t learn to play a concerto right away either. There are many other foundational skills that come before that. If you’re coming back to playing after a lengthy hiatus, be patient with yourself. You have a memory of what things felt and sounded like when you were actively playing, and that won’t be what you immediately hear or feel. Going back to basics is difficult but rewarding, so keep at it! Did we mention practice? Go practice! Lunch breaks can be a great opportunity depending on where you work. Play with people. Find other musicians, groups or organizations to play with. You can also consider making your next vacation a musical retreat or program; they’re not just for kids! Most importantly, HAVE FUN! Make it joyful work. Overuse injuries are very common in musicians, especially string players. The term gets thrown around a lot, but it may not be something you know much about. They can happen to anyone, and the good news is that a little prevention along with good habits can go a long way. Before we dive in, please remember: we aren’t doctors, and this blog shouldn’t be a substitute for medical advice. An overuse injury is any injury caused by a repetitive motion or strain. What Causes An Overuse Injury? Bad Position or Set Up. This can lead to your body compensating when you play, which leads directly to tension. You are playing too long with no breaks. Your body needs a chance to recover in order to avoid injuries–just ask any athlete! You are trying to play or do too much after a long break. Suddenly practicing for five hours straight after not playing for two weeks doesn’t do your body any favors. Stress. This means both physical stress on your body and mental stress. How Can I Prevent Overuse Injuries? Incorporate a warm-up routine beyond scales and etude. Warm up your body by stretching, doing yoga, or whatever works for you. Exercise. Get your larger muscles engaged and as a bonus improve your overall health as well! Check your setup with your teacher, especially violinists and violists. Doing longer practice sessions? Take frequent breaks (your mind will thank you too) and build up to longer playing sessions. Do your research: books like Playing (less) Hurt by Janet Horvath are a great resource. Become more aware of your body with things like Body Mapping and Alexander Technique. I Think I Have An Overuse Injury. How Do I Fix It? Go see a doctor, preferably one who works with musicians and understands their unique needs. Don’t put it off–the longer you wait, the harder it becomes to deal with any potential problems. Communicate with your teacher. Let them know what’s going on and make a game plan. This could include changing your setup, adjusting your schedule, or if necessary scheduling some time off to recover. Be patient. Know that rushing back in before you’re ready can have bigger consequences down the road. Find support. Injuries are hard to cope with as a musician, especially when they interfere with playing for a prolonged period. You aren’t alone. Find others who have dealt with similar situations and, if you feel it’s appropriate, find a professional to talk to. In addition to Johnson String Instrument, Boston is home to a vibrant array of ensembles and musicians as well as numerous institutions of higher education in music. Classical music in Boston—and the U.S.— owes much to a small group of 19th-century Boston composers known as “The Second New England School”. These composers were John Knowles Paine (1839-1906), Arthur Foote (1853-1937), George Chadwick (1854-1931), Edward MacDowell (1860-1908), Horatio Parker (1863-1919), and Amy Beach (1867-1944). The “First New England School” developed during the American Revolution. It consisted largely of self-taught hymn composers like William Billings. Their rustic styles ignored the stringent rules of European music theory. The Second New England School, by comparison, grew directly out of academia. By the end of the 19th-century, universities in the United States were emulating their European counterparts. Every male composer of the New England group traveled overseas to study with German composers and theorists. Chadwick and Parker both passed on these methods to their students, including Florence Price and Charles Ives. 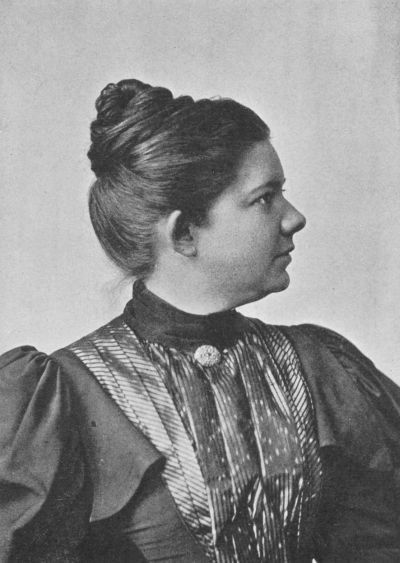 As the sole woman of the group, Beach did not travel to Europe to study; she instead taught herself composition by studying German compositions. The formation of the Boston Symphony Orchestra in 1881 led not only to exposure to the latest European masterworks but to performances of their own compositions. Paine and Foote initially led the group in performances, but by the turn of the century, MacDowell was the most prominent member. He became especially well known for his Second Piano Concerto and “To a Wild Rose” from his Woodland Sketches for piano. In 1907, facing declining health, he established the MacDowell Colony, a retreat for artists of all disciplines. One regular was Amy Beach. Beach composed many chamber works, such as a Violin Sonata in A minor. She was also prolific composer of art songs, the most socially acceptable genre for women composers in the Victorian Era. Large, highly formalized works like symphonies and concertos were considered to be beyond their abilities and temperament. Despite these societal limitations, Beach successfully premiered her Gaelic Symphony (1896) and Piano Concerto (1900) with the Boston Symphony. Though some critics opined that as a woman, she was unsuited for such works, others praised her compositions. Chadwick and Parker had attended the premiere of the symphony, and the former later wrote to Beach, saying “…I always feel a thrill of pride myself whenever I hear a fine work by any of us, and as such you will have to be counted in, whether you will or not—one of the boys.” Beach also notably premiered some works, including her violin Romance, at the 1893 Chicago World’s Fair as part of the Women’s Musical Congress. As the first major American woman composer, she has become the most frequently performed composer of the group since feminist movements in music came to prominence in the 1970s. Visit us in-store or online to find works in our collection by Edward MacDowell and Amy Beach.